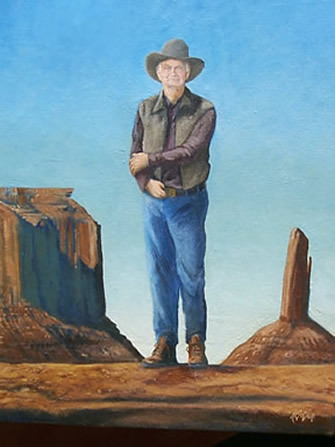 The picture zooms in on the face of the artist's brother, Gene Glover, as he stands at a place named John Ford Point, Monument Valley, Navajo Nation. Page down to view the entire painting. 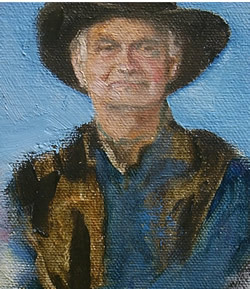 Position of the arms resemble the tribute John Wayne made to Harry Carey in the movie, The Searchers.